The Sovereign Lord Jesus Christ has instructed disciples to make disciples everywhere, baptizing them and teaching them to obey all His commandments. 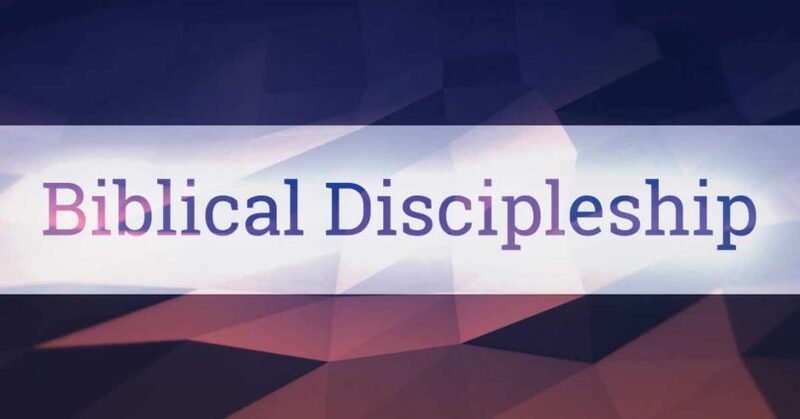 In part 11 of Biblical Discipleship, Pastor Dan Cox reads from Matthew 28:16-20. In response to demographic changes and cultural challenges, the Scriptures call the American evangelical church to love, do good and practice biblical unity. In part 9 of Biblical Discipleship, Pastor Dan Cox reads from Matthew 5:43-48, 1 Peter 2:11-25, and John 17:20-23. A disciple practices spiritual disciplines for the purpose of Godliness. In part 8 of Biblical Discipleship, Pastor Dan Cox reads from 1 Timothy 4:1-10. A disciple practices spiritual disciplines for the purpose of Godliness. In part 7 of Biblical Discipleship, Pastor Dan Cox reads from 1 Timothy 4:1-10. A disciple practices spiritual disciplines for the purpose of Godliness. In part 6 of Biblical Discipleship, Pastor Dan Cox reads from 1 Timothy 4:1-10. A disciple responds to the call of Jesus, follows Jesus, helps others follow Jesus and bears much fruit for the glory of Jesus. In part 5 of Biblical Discipleship, Pastor Dan Cox reads from 2 Timothy 2:1-2. A disciple of Jesus seeks to imitate Jesus in every way. In part 4 of Biblical Discipleship, Pastor Dan Cox reads from 1 John 2:1-6.